One of the joys of being a dentist is having the ability to improve patients’ quality of life. Not only am I responsible for diagnosing dental conditions, but I must also learn about and understand my patients’ expectations. In doing so, I can provide more than just healthcare services; I can establish a healthy dentist-patient relationship that can ultimately lead to more effective dental treatment. As a dentist, I have had the unique opportunity to help people in so many different ways. I can help patients overcome any fears or phobias that have prevented them from obtaining proper dental care. I can make their lives more fulfilling by allowing them to smile with confidence and enabling them to properly function. I feel eternally blessed to be able to change peoples’ lives in such a positive way. 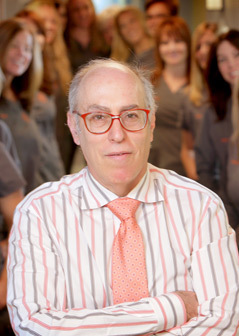 I graduated from New York University School of Dentistry in 1977 and completed my general practice residency at the University of Florida. There, I obtained advanced training in all aspects of dentistry that have allowed me to go beyond the scope of most general dentists and provide my patients with a wide and varied array of dental services at one convenient location. I have worked in various types of dental practices from the inner city to Park Avenue in Manhattan. Seeing many different practices allowed me to design my own vision for what type of dental practice I would like. I am constantly taking continuing education courses and traveling throughout the country in search of the most interesting and informative classes the profession has to offer. I am on the cutting edge of all of the latest technology in cosmetic dentistry, implant dentistry, and many other aspects of this ever-changing field. I take a proactive, not reactive, approach to dentistry. I was born in Brooklyn, New York, and lived there until I graduated from dental school. 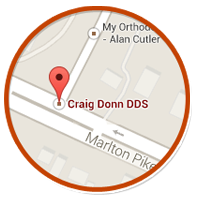 In 1981, I moved to Cherry Hill with my wife Randee, and started my own dental practice. My wife was a major influence in shaping my practice into what it is today. She was my first assistant, office manager, receptionist, and my one-and-only employee until she became pregnant with our first daughter. Now I have two beautiful daughters, Lindsay and Chelsey. Lindsay is a lawyer/MBA, and works in New York City. Chelsey is an actress living in Beverly Hills, California. In my spare time, I love the outdoors. I enjoy playing tennis and biking and have also become a wine enthusiast, so I travel extensively to visit vineyards and wineries throughout the world. I’ve learned to balance my life, to enjoy the time spent working and the time with my family. My charitable work includes the Dental Lifeline Network, to which I donate my time and service to help people in need. We help a few people a year by providing comprehensive dental reconstruction. It is a true life-changer for those people. My office also donates toothbrushes, toothpaste, and other dental supplies to underprivileged families throughout the Jewish and Christian community. My staff and I often donate our time to those patients that truly are in need of dental care and just cannot afford it.